Pierce County requires properties on septic systems to have their tanks pumped once every three to four years depending on the building’s occupancy and level of use. And when that time comes, you can count on John’s Plumbing & Pumps, Inc to make the job easy. Septic service isn’t the same as sewer service. And it takes a plumber with the right knowledge to diagnose and repair aging and modern septic systems with equal levels of precision. We are a team of experienced plumbers with over 60 years of history providing plumbing and septic services in the Spanaway area. Because of our experience, skill, and ability to house and maintain our own high-end equipment, we provide you with more comprehensive services. Whether your septic alarm threw a warning light or you have an emergency overflow situation on your hands, John’s Plumbing can handle it. Talk to us about care and maintenance of your septic tank, pipes, and effluent pumps. 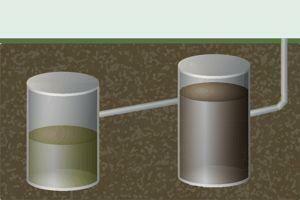 We offer clear, comprehensible advice for all types of septic systems in Spanaway. The plumbers at John’s Plumbing & Pumps are happy to help Spanaway residents keep their septic systems in good working order. But there are a number of ways to avoid the need for repairs in the first place. Avoid putting things that don’t break down easily down the drain. “No-nos” include sanitary napkins, “flushable” wipes, paper towels, grease, and harsh chemicals. Be cognizant of the ground surrounding your tank. Parking cars or placing heavy equipment on the ground above the tank can lead to ruptures. Keep trees and gardens away from the drainage field. Grass is best. Contact John’s Plumbing to pump the tank approximately every three years to avoid the risk of overflow or damage. Typically, septic tank failures are caused by blockages in the drains, tree roots infiltrating the underground pipes, or drainfield problems. 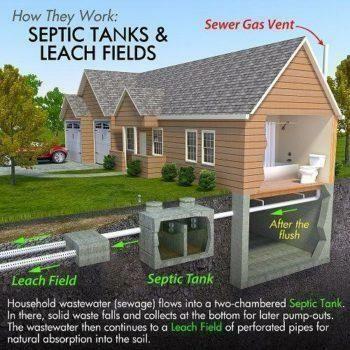 The health and functionality of a septic tank relies on clean pipes, a regularly pumped tank, and healthy bacteria and enzymes. Yes. Septic bacteria and tank enzymes are additives that help break down organic material in the tank. When harsh chemicals like bleach or medication overwhelm the bacteria, they stop digesting biosolids, breaking down sludge, and keeping your septic tank “healthy.” The result is more sludge in the tank and the need for more frequent pumping. Septic systems rely on a number of components to keep things running smoothly. These include pumps, filters, aerators, drainfields, distribution boxes, and a number of pipes to carry waste away from the house. When one of the components develops a problem, it can cascade into other areas of the system. Call John’s Plumbing & Pumps to fix or maintain your septic system so you can carry on with your daily activities worry-free.